Thank you for enquiring about Corazon Tequila Reposado. We have received your enquiry and our team will be in touch shortly. Jose Cuervo is the worlds oldest and most awarded tequila brand. Founded in 1795 by Jose Cuervo in the town of Tequila, it is still owned and run by 10th generation descendants of the Cuervo family. 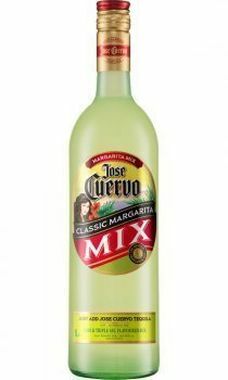 Jose Cuervo’s original and No.1 margarita mix combines the flavour of Triple Sec and Mexican limes. Just add Jose Cuervo Tequila and some crushed ice for a refreshing Cuervo Margarita.